There was an LP version of the Funny Girl Soundtrack Album which contained alternate and cut songs from the film. It was circulated as a promotional album before the final album was pressed. This track features Questel and Medford singing their parts to a temporary piano track (orchestration would be added later—the actresses probably lip-synched to this track on set). “hey listen, kid, I know I'd be divine because...” is an alternate vocal. 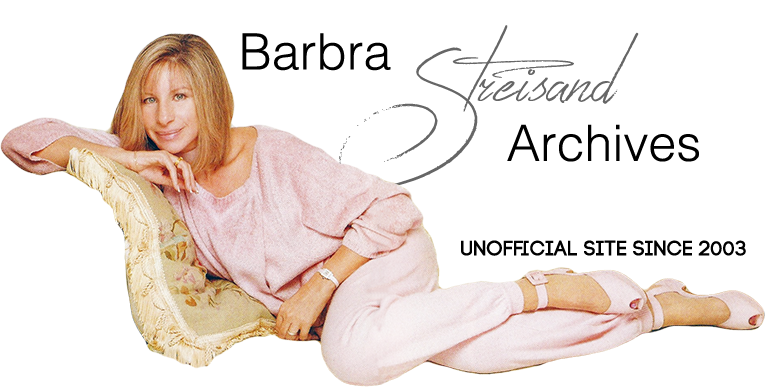 The spoken part before the bridge — “you think beautiful girls are gonna stay in style forever?”— and Barbra's “humpf!” are different as well. Is actually a nice “clean version” of the song with no roller skate sound effects. The piano intro is slower; repeats (like in the movie). There are no roller skate clicks at the end. Not included on the Original Soundtrack. Nicky Arnstein, Nicky Arnstein ... he's got polish on his nails! I'll bet he knows Flo Ziegfeld; he could even know Mr. Wrigley—from Spearmint. Cut Song from movie between Rose Brice and Eddie Ryan – not included in OST. Cut Song from movie – not included in OST. There are additional brides singing “Ooh-ooh” between some lyrics. The entire number was “tightened” for the final film; there's a lot of extra bars and orchestration in this version! Autumn Bride's vocals are performed by a different actress. Streisand's vocals sound the same as the final film/soundtrack. End vocals on the song are different. Omar Sharif's part is missing on this track. Has an orchestrated section that would have underscored a scene at Nick and Fanny's home with Ziegfeld and guests. Much longer than in movie or OST – different beginning, alternate vocal from mid-song till end. The “Swan Lake” number was not included on this advance album.